If your business would benefit from covered bodywork, including protection from the weather and a high-volume load space, but you need more loading flexibility than a solid-sided bodywork conversion can offer, then a Citroën Relay Ready to Run Curtainside conversion could be the answer. Citroën’s Ready to Run Curtainside’s big advantage is that not only can it be loaded through the full-height, wide opening, rear doors, but also through the heavy-duty PVC curtains that make up the body sides. These can be positioned so that the body can be loaded, by forklift, from either side at both the front and back of the load area. 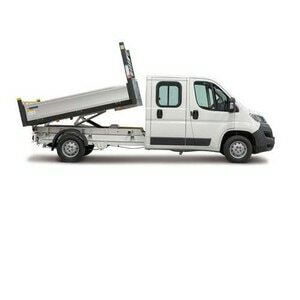 Two body lengths are provided, based on the Relay L3 and L4 Single Cab chassis. L4 models offer up to 20m³ of load space. Using the standard weight body, L3 models offer payloads up to 965kgs*. All models are equipped with an LED interior light and external side marker lights. A kick strip fitted to the lower edge of the front bulkhead helps guard against damage. For the road, the side curtains are closed and tensioned both vertically and horizontally. This gives a smooth sided body with taut, weather-tight sides. If easy loading from either side by forklift is a priority, the Ready to Run Curtainside body offers a highly effective solution. Each Ready to Run Curtainside body is fitted with an aerodynamic “Luton” pod above the Relay cab. Like the Luton and Low-Floor Luton models in the range, the Curtainside’s Luton pod gives additional storage space over the cab, while also helping to improve airflow around the front of the body to improve fuel economy and reduce emissions. Citroën Ready to Run Curtainside models are available in five solid cab colours and two metallic colours. 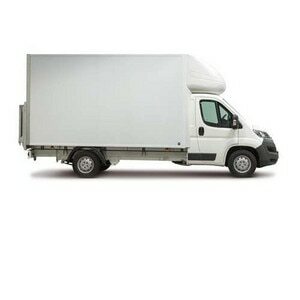 The Ready to Run Curtainside body’s construction adopts similar methods to the Luton and Box bodies in the range. A galvanised steel and aluminium frame carries composite body panels, a construction method chosen for durability and optimum payload. The resulting payload can be increased further, by up to 80kgs when the optional lightweight construction is selected. Heavy-duty treated plywood flooring also plays a part in optimising payload, while providing a durable load floor. The body can be loaded from the rear through the “barn doors”, fitted with externally mounted locks, or from either side. Citroën Ready to Run Curtainside options include a 500kg capacity tail lift and a choice of roller shutters in place of the rear barn doors. Customers can also specify steps and grab handles to aid access and additional load restraint hooks fitted in the floor. 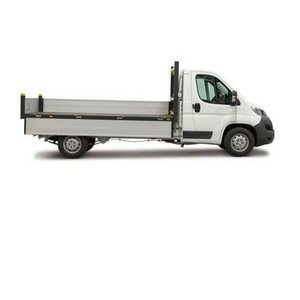 Citroën Curtainside comes equipped with air conditioning, an uprated battery and heavy-duty rear suspension as standard. The Ready to Run range also offers Relay options such as Grip Control, an aid for driving in difficult conditions such as snow, mud and sand and also a speed limiter. Within the cabin of Citroën converted vehicles there are two USB ports. One is connected to the radio and can recharge mobile devices, while the other allows recharging of a second device. With 13 different storage spaces in Citroën's Curtainside including a chilled and lockable glove box, you can take everything you need for a days work. Citroën Luton's gear lever is located on the dashboard for additional comfort. Citroën's Ready to Run Curtainside has been designed to meet European standards and with a 3 year/100,000 mile manufacturer warranty has been built so you can carry out any job. To find out more, contact your local business centre and discover all the benefits a Citroën converted vehicle can offer you and your business.